Pneumonia is a leading cause of hospitalization among children in the United States and a new study estimated the incidence and etiologies of community-acquired pneumonia in children. Pneumonia is a leading cause of hospitalization among children in the United States; a new Northwestern Medicine study estimated the incidence and etiologies of community-acquired pneumonia in children, and found that respiratory viruses were more common in children with pneumonia than bacterial pathogens. 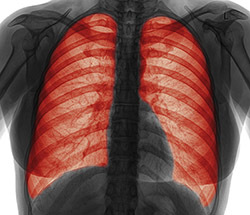 “The goal of the study was to determine if the frequency or the incidence of pneumonia has changed and if the pathogens causing pneumonia have changed over the past few years,” said Richard G Wunderink, MD, professor in Medicine-Pulmonary, and author on the study, where he contributed to the protocol and methodology. As part of the CDC “Etiology of Pneumonia in the Community” (EPIC) study, researchers from the CDC, Northwestern University Feinberg School of Medicine, Vanderbilt University School of Medicine, Le Bonheur Children’s Hospital, University of Tennessee Health Science Center, University of Utah Health Sciences and St. Jude Children’s Research Hospital, participated. From January 2010 to June 2012, more than 2,600 children enrolled in the study from three U.S. children’s hospitals in Memphis, Nashville and Salt Lake City. The study, recently published in the New England Journal of Medicine, estimated the annual pneumonia incidence was 15.7 per 10,000 children during the study period; the highest incidence of pneumonia was among children younger than 2 years old. 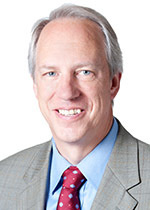 Richard G Wunderink, MD, professor in Medicine-Pulmonary, studies the incidence and etiologies of pneumonia for the CDC “Etiology of Pneumonia in the Community” study. The data show how rates of the pathogens that had previously been more common, such as strep pneumonia, have decreased, reflecting the effectiveness of vaccines and the sensitivity of bacterial diagnostic tests. The results also suggest that increasing influenza vaccination coverage and developing new anti-viral vaccines or treatments could reduce the burden of pediatric pneumonia. “The number one detected pathogen in the pediatric study was respiratory syncytial virus (RSV) and, as there is an increasing interest in an RSV vaccine and treatment, our paper would suggest that those are worth pursuing,” Dr. Wunderink said. The next part of the EPIC study will highlight findings in pneumonia in the adult population where Dr. Wunderink is principal investigator of the Chicago site. The study was supported by the Influenza Division of the National Center for Immunization and Respiratory Diseases at the Centers for Disease Control and Prevention.